Absolute Charmer!!!! 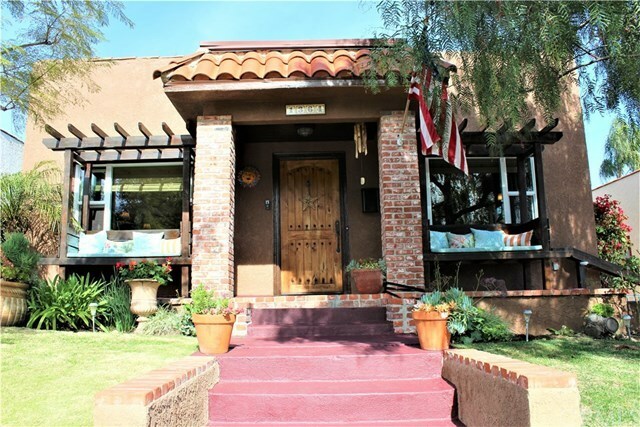 Classic California Spanish in the wonderful Vista Del Oro neighborhood. This 3 bedroom and 2 bath home was built in 1923 and still retains the original character but has undergone lots of recent upgrades both inside and out. Beautiful wood floors through-out give the home a warm rich feeling. Off the kitchen is a spacious utility area/service porch that would make a great little office. Home offers indoor laundry. Nice size master bedroom with lots of natural light. Secondary bedrooms are nice size and close to the master. Wood burning fireplace in the living room. The single car detached garage has a great enclosed storage area/ workshop. Located on a wonderful, quiet street. 12th Street in this area is only a block long, with Patton on one side and Averill on the other. Great curb appeal, huge "watch the world from your rocking chair" porch. On demand hot water as well as a whole house filtration system. Bonus room off the garage!!! Beautiful backyard loaded with fruit trees, lawn and a great deck for soaking it all in. Truly a delightful home!